Maldives is an upper middle-income country with population of about 400,000 people dispersed over 188 islands. 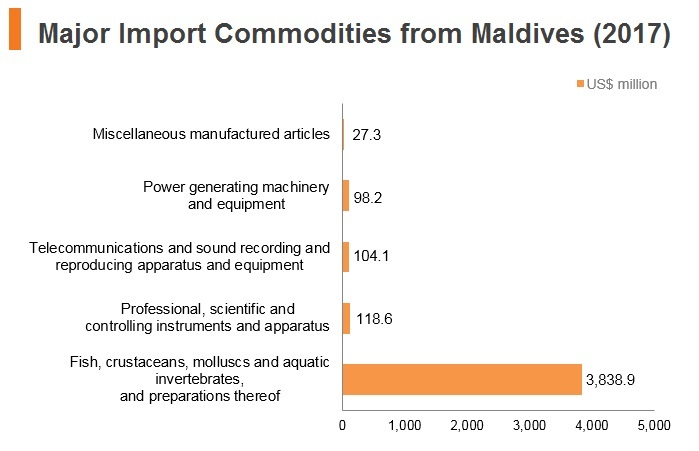 Maldives’s economy is mainly based on tourism and fisheries. 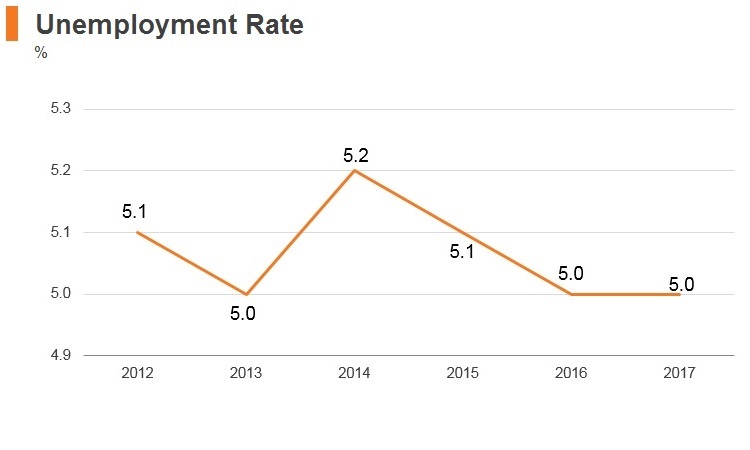 Construction has become the main driver of growth in 2015-2017. Parliament passed a new defamation bill. Maldives announced it was leaving the Commonwealth. The government announced that it had cut diplomatic ties with Qatar, but its business links with Qatar will remain intact. Maldivian President Abdulla Yameen called a state of emergency. Maldivian President Abdulla Yameen lifted the 45-day state of emergency. Opposition leader Ibrahim Mohamed won, beating (former) President Abdulla Yameen in the presidential election. 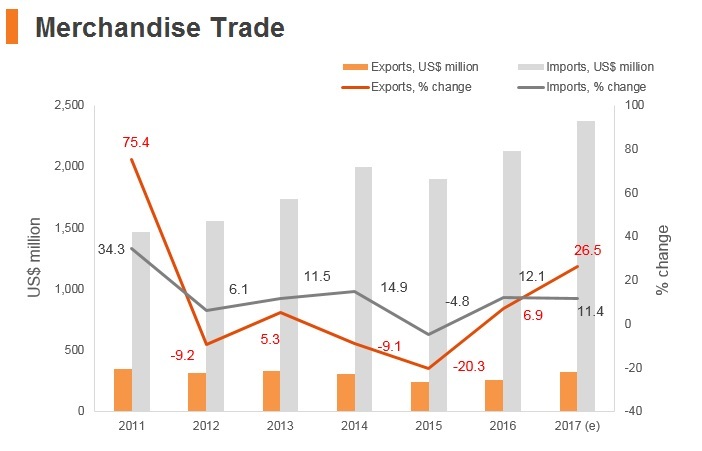 Maldives has been a member of World Trade Organization (WTO) since May 1995 and a member of the General Agreement on Tariffs and Trade (GATT) since April 1983. 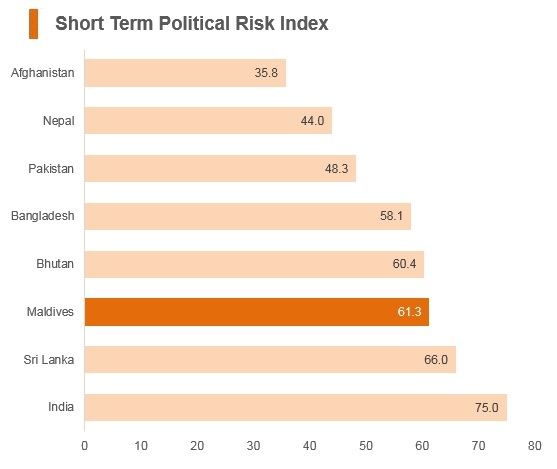 In 2011, Maldives made a unilateral Most Favoured Nation (MFN) tariff liberalisation initiative, eliminating tariffs on approximately 31.5% of tariff lines. The average applied MFN tariff rate decreased from 21.4% in 2008 to 13.9% in 2015. 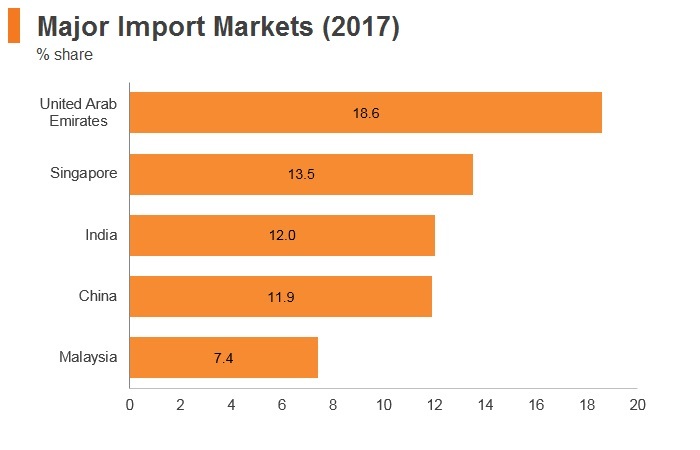 Agricultural products face lower tariff rates (averaging 11.3%) than non-agricultural items (14.3%). While average tariff protection for agricultural products was reduced, tariffs on tobacco and alcohol products were increased for health, religious and revenue purposes. 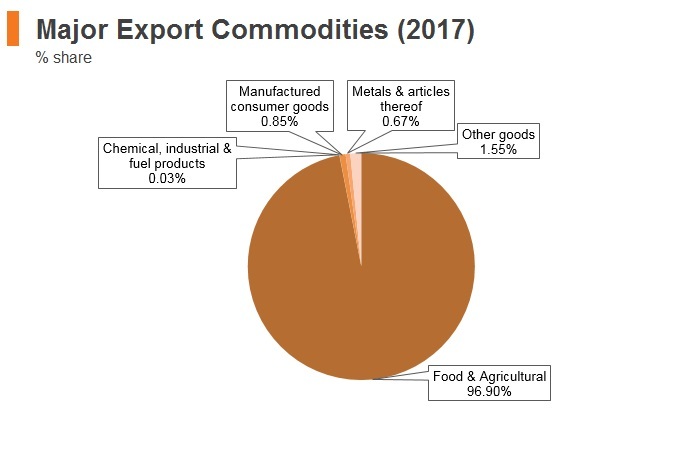 Staple foods, such as ordinary rice, flour and sugar, continue to be imported mainly through the majority state-owned enterprise State Trading Organization and are sold at government-controlled prices involving subsidies. 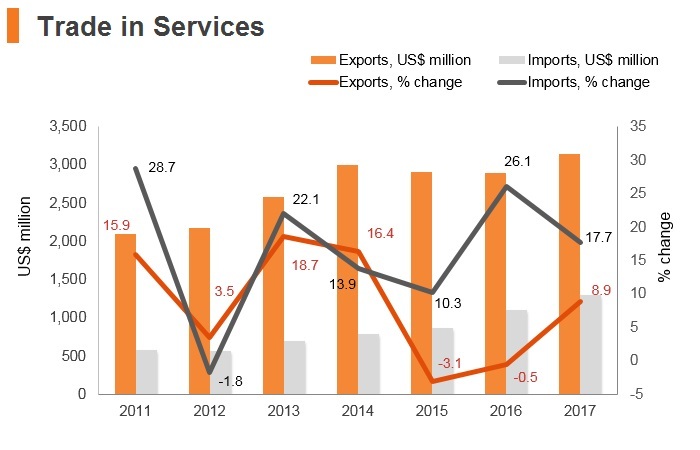 The high degree of openness of the Maldivian economy to international trade, and its integration into the world economy continue to be reflected by the high exports of goods and services as a percentage of GDP, which rose to 79.7% in 2016. Maldives signed a Free Trade Agreement with China in December 2017. South Asian Preferential Trade Agreement (SAPTA): It was signed in 1993; however, the scope of SAPTA was limited. 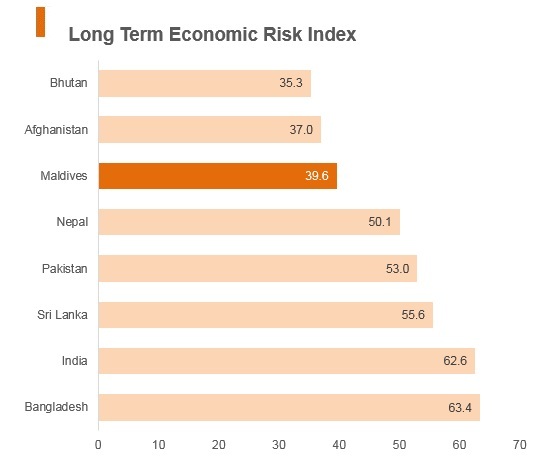 Therefore, it was expanded to the SAFTA, which is a plurilateral Free Trade Agreement between Bhutan, Afghanistan, Bangladesh, India, Maldives, Nepal, Pakistan and Sri Lanka. The agreement covers trade in goods and entered into force in January 2006; Afghanistan later joined in August 2011. Hong Kong-Maldives Free Trade Arrangement: This was proposed in May 2016 and has been under negotiation since May 2017. 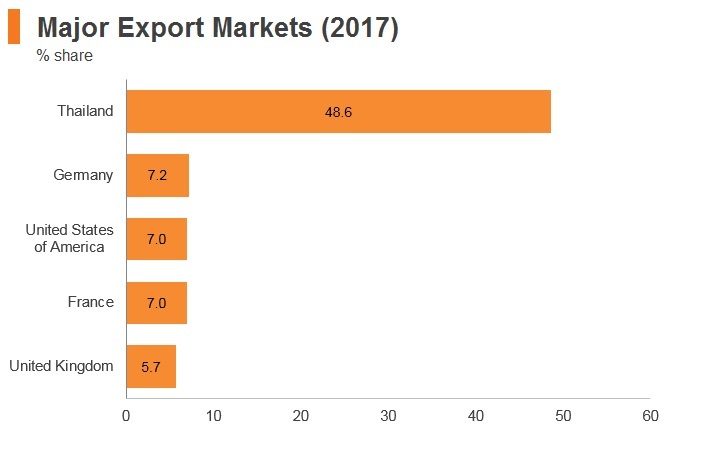 Hong Kong is Maldive's ninth largest import source, and as of 2016, Maldives imported 2.2% of its total imports from Hong Kong, with the majority of products being electrical machinery and equipment and parts thereof, sound recorders, reproducers and televisions. The Trade Preferential System of the Organisation of the Islamic Conference: This is an agreement between 41 countries that was signed in January 2014, but is not yet in effect. The main features of the agreement include the Most Favoured Nation principle, equal treatment of member countries and special treatment for least developed member countries. 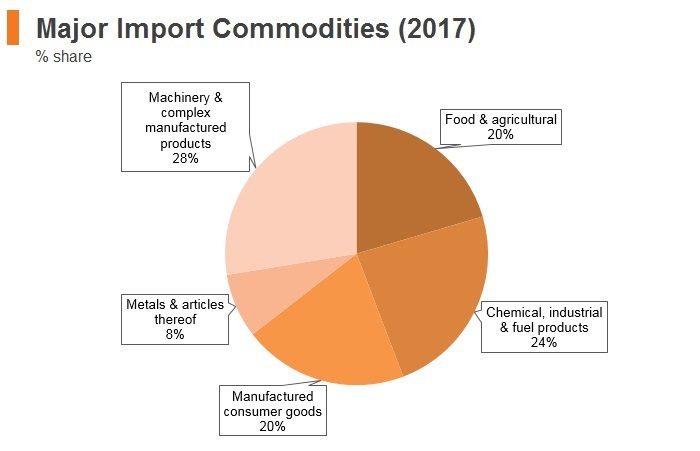 The preferences include tariffs, para-tariffs and non-tariff concessions. The People's Republic of China-Maldives Free Trade Agreement: It was signed in December 2017. 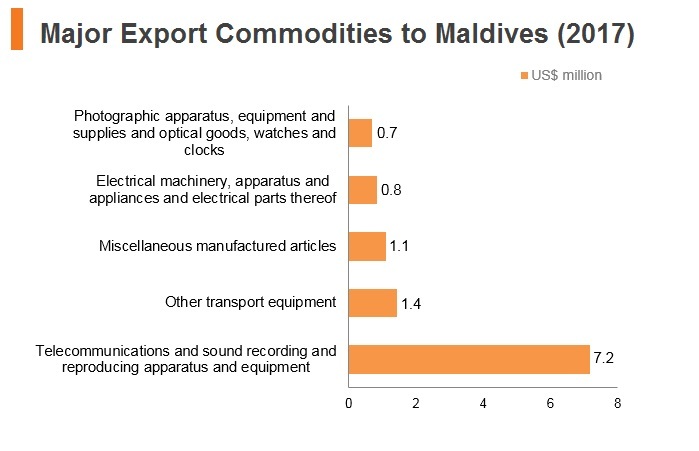 China is Maldive's third largest import source, and as of 2016, Maldives imported 13.4% of its total imports from China, with the majority of products being machinery, mechanical appliances, nuclear reactors, boilers and parts thereof. 'Invest Maldives' is the country's investment promotion agency and falls under the Ministry of Economic Development. It is responsible for promoting, regulating and licensing foreign investments in the country, except for the tourism sector and special economic zones. The objective of the agency is to provide a one-stop-service for all investors wishing to invest in Maldives. 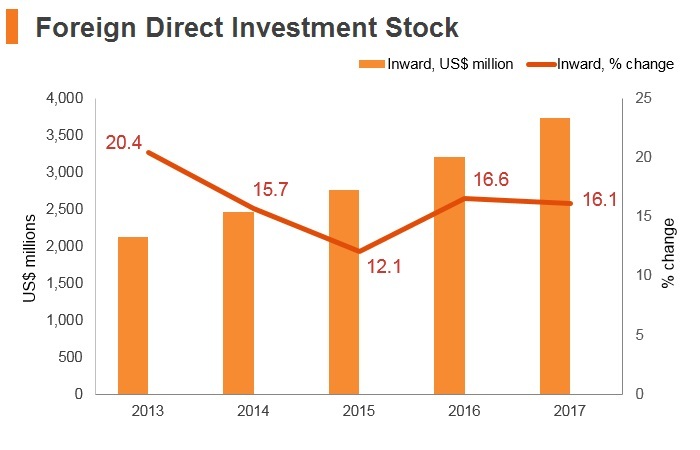 Foreign investment in Maldives is governed by the Foreign Investment Law, which covers agreements between the government and investors, while a separate law governs business and trading activities by foreign nationals. 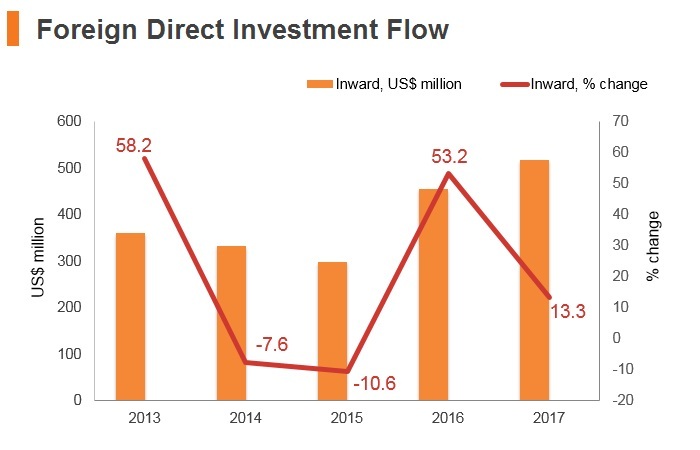 Maldives began opening up to foreign investment in the late 1980s and currently pursues an open policy for foreign investments, although the ambiguous foreign investment laws may deter investors. An amendment to the Tourism Act passed in 2010 lends permission to investors to lease an island for 50 years. In April 2014, Parliament approved a law to grant the extension of resort leases up to 99 years for a payment of USD5 million. The amendments aim to incentivise investors, make it easier to obtain financing from international institutions, and increase revenue for the government. Leases can be renewed at the end of their terms, but the formula for assessing compensation value of a resort at the end of a lease has not yet been developed. All other land may be leased for maximum periods ranging from 10-15 years, depending on the purpose for which the land was initially allocated. A prohibition on foreign ownership of any land ended in July 2015 when parliament passed and the president ratified a constitutional amendment allowing foreigners who invest at least USD1 billion to own land and islands, provided at least 70% of the land is reclaimed. 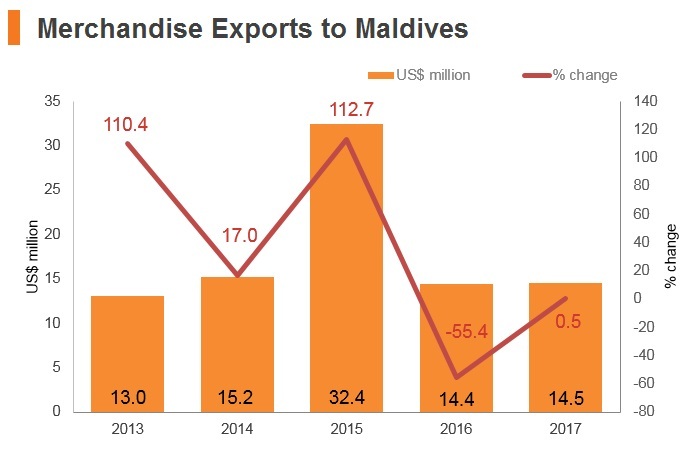 Foreign investments in Maldives have primarily involved resort management, but now also include sectors such as telecommunications, courier services and manufacturing. 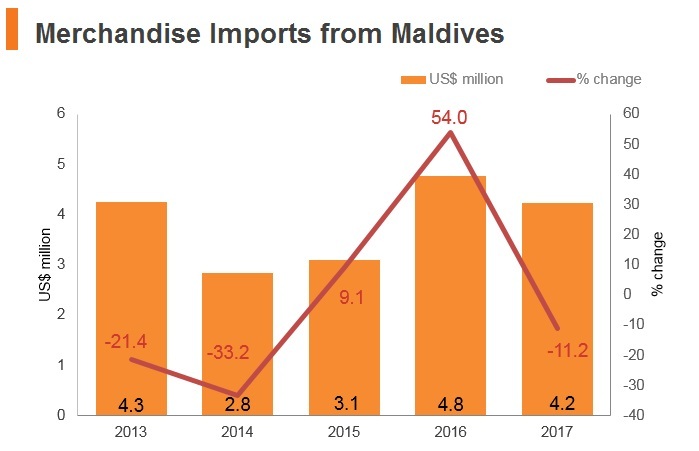 In October 2015, the government of Maldives held the second annual investor forum in Beijing, China and invited foreign investors to also invest in the Maldivian banking and financial sector, renewable energy, real estate, logistics, transport, healthcare, education, and construction. 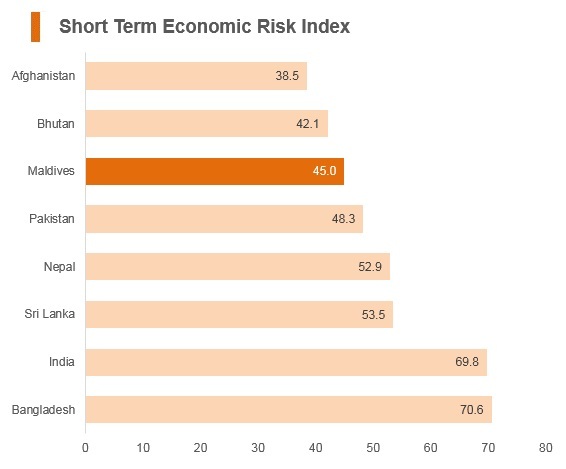 There are no country-specific restrictions on foreign investment and Maldives allows foreign investment in all major sectors apart from the following areas, which are restricted for locals only: wholesaling of goods; photography and related activities; souvenir trading and related business (wholesale and retail trade); inter-island passenger transfer services by sea (foreign investors can engage in this area with 51% local shareholding); water sports and related activities (foreign investors can engage in this area with 51% local shareholding); operation of bonded warehouses in the customs area; fishing within the Exclusive Economic Zone (EEZ) of the Maldives; and the purchasing, processing and export of Skipjack Tuna. Maldives encourages investment projects that: establish and enhance the delivery of basic services required to be provided by the State; promote economic diversification and demonstrate potential to structurally reduce the country’s current dependence on the tourism sector; expand the export base of the economy and support import substitution; enhance the human capital development and employment opportunities for Maldivians on a significant scale; promote innovative product development and new markets for the tourism sector; bring enhanced improvements to the health and education sectors in terms of service delivery, quality, and accessibility; expand and develop sports infrastructure and services in Maldives; promote the use of renewable energy in Maldives; and promote incremental social and economic benefits from the available natural resources. - There is an option of acquiring freehold land by registered companies in Maldives with at least 50% local shareholding. - The SEZs Act allows foreign ownership of land for a period of 99 years and provisions on residency to foreign nationals within the SEZ. - The specific durations for tax exemption will depend on the business area of proposed the investment and the scale of the investment. Maldives introduced a broad-based tax system following the establishment of Maldives Inland Revenue Authority (MIRA) in August 2010. During the past eight years, effective taxation policies have allowed the country to invest in its social development. Foreigners going to work in Maldives are required to obtain a work permit from their employer. In order for work permits to be issued, it is required that employers deposit a sum of money for each employee's work permit. A monthly visa fee of MVR250 applies for foreign workers. Business visas also can be obtained from a Maldivian sponsor for a maximum of 90 days. Maldives grants visa-free or visa-on-arrival status to all citizens (except Indian and Bruneian citizens) for 30 days. 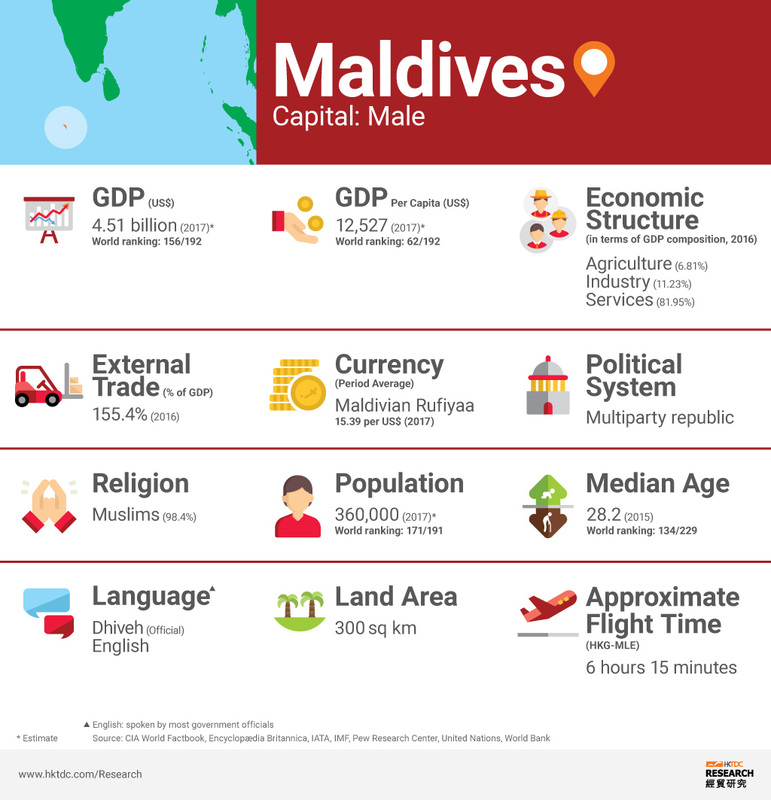 The Maldivian government has initiated a number of infrastructure projects to enable its citizens to move from smaller islands to Greater Malé, and construction has overtaken tourism as the main driver of growth. 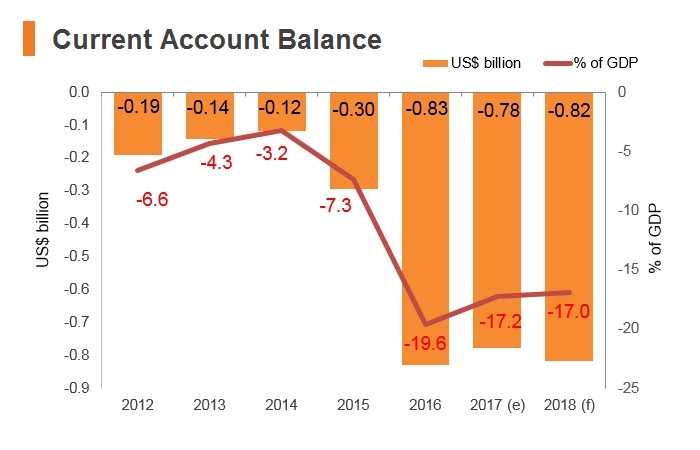 In the medium term, with the emphasis on construction, large current account deficits will be likely be financed by investment and infrastructure loans. 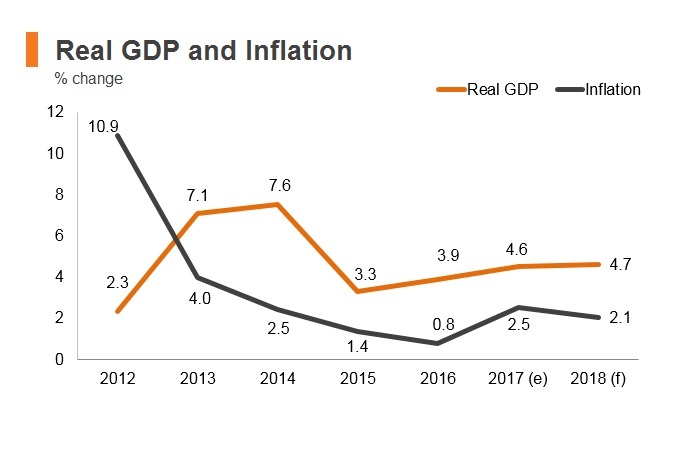 The immediate outlook for the country’s business environment remains uncertain due to the impact of the February-March 2018 state of emergency on the tourism and non-tourism sector. 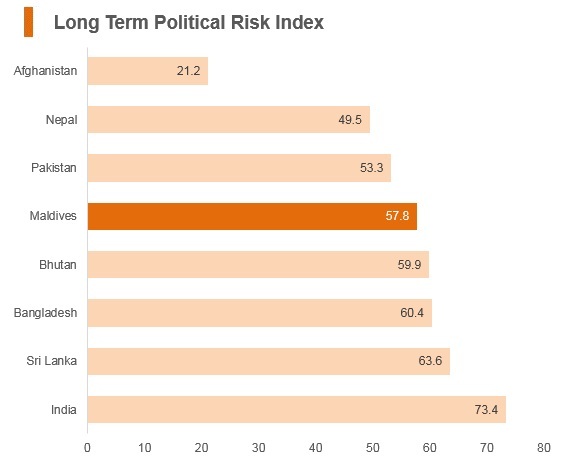 Due to the lack of major industries outside of the tourism sector, risks for businesses operating in tourism and key related sectors may rise in the short-term due to political volatility. 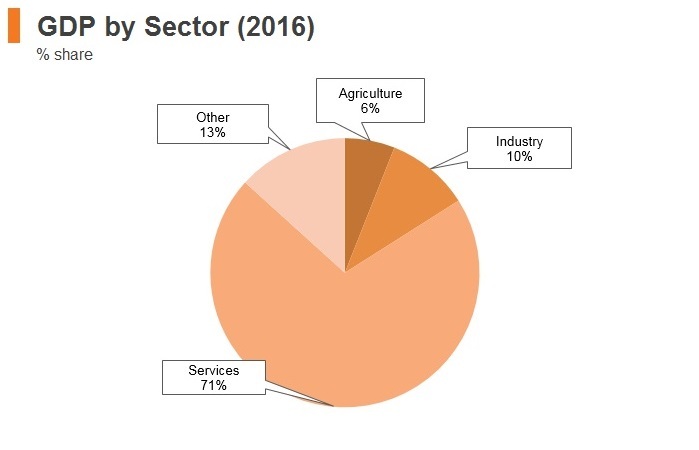 The labour market also remains small, therefore, options for labour-intensive sectors remain limited. Visitors to the Maldives do not require a visa prior to their arrival in the country. Should posses a valid passport with Machine Readable Zone (MRZ) or a valid Hong Kong SAR passport and should have at least 6 months validity. Should have a valid ticket to continue the journey out of Maldives. Should have enough funds to cover the expenses for duration of the stay in Maldives.